These tomatos just showed up in my yard. As they grew I did nothing... didn't train them, didn't cage them, I didn't even weed them. They are in an area of my yard I dedicated to squash this year. Very little work is needed for squash, and I did very little on that entire side of the yard. I went out there to get a squash tonight and these beauties were looking up at me. 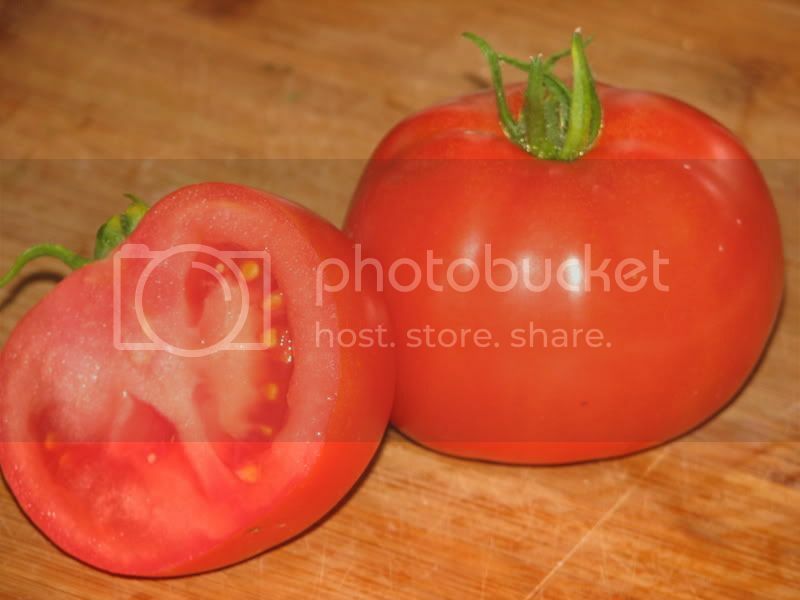 Two PERFECT tomatoes, just ready to be picked... tender, red, round, and beautiful. They even still had the chill of early fall on them. Seriously they looked like I could have pulled them from the stores greenhouse grown tomato bin, but of course, they tasted just like homegrown... and to add that to our black bean fajitas with squash for dinner tonight... Omg they were good. I am very grateful for the free bounty.